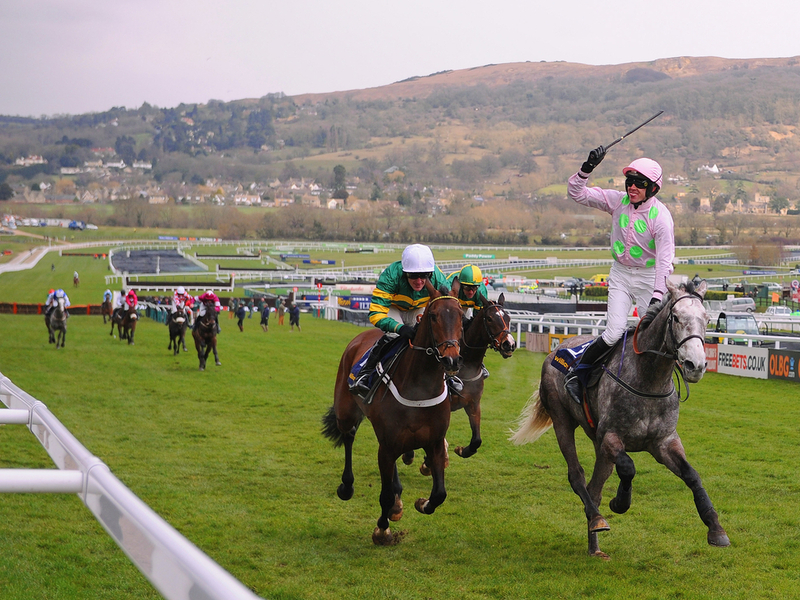 With one of the most thrilling days of the Racing calendar almost upon us, we have previewed the action, which includes Racing from Fontwell, Huntingdon, Kempton, Market Rasen, Sedgefield, Wetherby, Wincanton, Wolverhampton, Down Royal, Leopardstown and Limerick and gave you our best bet for each meeting. Our best bet from Fontwell comes in the first race of the day, a Handicap Hurdle contested over 2m 5f. We like the five year-old mare Bonza Girl from last years winning connections. This individual has Rex Dingle in the saddle claiming a valuable 7lbs which could be key here. He faces a tougher task than previous outings, up against an individual arriving here in outstanding form, though being better off at the weight we feel our selection will get the better of the clash in a tight affair. Next up, it's a Class 4 Hurdle contest over 3m 1f which could be a real test of stamina and we are sure Aquarian will handle the conditions. This gelding was an easy winner over C&D last month, looking the part and seemingly winning with some in hand. A 7lb rise shouldn't be a problem for this JP McManus sort, who has promising rider Jonjo O'Neil Jr. in the saddle and should register his second success over timber. This looks set to be a cracking race, in what is Kempton's first Graded contest of the afternoon. The Kauto Star Novices' Chase is a Grade 1 National Hunt chase run over 3 miles, with eighteen fences to be jumped in total. We're really keen on Santini here, who made a highly pleasing chase debut win against an individual who has since gone on to win in similar style. That form looks well here and although he faces a largely tougher task he looks sure to put that experience he gained after a lay-off to good use and improve further. We have plenty of fancies at Market Rasen but this is easily our strongest. Sir Egbert contests in a Handicap Chase over 2m 1f in a similar field to one he previously scored nicely in on Handicap debut. Having escaped a penalty following that victory in that conditional jockeys' event, this scopey individual looks to have the size to deal with top weight for an in-form stable and prove hard to beat once more. This Class 4 contest over 2m 3f could turn into a real mud affair with soft conditions looking distinctly possible. We are confident on Schiehallion Munro confirming promise shown previously, with his hurdle debut form looking well and a nice success on similar conditions last-time out. Billy Garritty, proving to be a valuable claimer, is who remains in the driving seat again with the pair teaming up for a C&D success earlier in the month and having made a nice start to the season we are sure he can continue his rich vein of form here. Mega Yeats appears quite short in the betting here but we see no reason why he can't continue progress in this lesser contest than the Listed bumper at Cheltenham last time. He faces Class 4 company here on equal conditions of those he won previously on, so another bold showing looks likely. This Ruth Jefferson four year-old brings plenty of potential to the table and providing he jumps a clear round he should have little problem defying this opposition. Here we have a snappy little contest over 1m 7f - a Handicap Chase with a fairly small field on offer. However, we previously highlighted Bally Longford as our best bet of the day earlier this month when he was just chinned for success at Lingfield on slower conditions, seemingly looking to get a bit tired in front. He drops back here significantly in distance and though he was a beaten favourite last time he lost little in defeat and this front runner should prove a tough nut to crack, effectively running on 10 stone 12lb with the 10lb claim. Could be great value. Beryl The Petal looks a cracking price here in this 1m Class 3 Nursery. This David O'Meara filly has shown models of consistency throughout her fairly short career so far. That said, she has to be respected following her neck second defeat recently over C&D, on Tapeta debut when seeming to be travelling strongly. Arriving here on the same mark she deserves the upmost respect and could turn out to be a lovely priced-winner should she put that previous experience to good use with a better experienced jockey to assist. We don't have many strong fancies for this meeting, though this experienced Gordon Elliot-trained gelding appears the best. Gordon Elliot recruited this individual from Phillip Hobbs and after a 561 day break, he has returned to take three point-to-points with some in hand. This outlines the work Elliot has been doing at home has done the trick. Additionally, having been a Grade 3 winner for his previous yard, he could be hard to beat here if transferring that form into this Chase contest over 2m 6f. Bold showing likely. This looks set to be some race from Leopardstown - a Grade 2 contest over 2m showcasing some of Ireland's best hurdling prospects. We made it clear to you how keen we are on this gelding in one of our previous previews but his trainer, Gordon Elliot, prepares a strong challenge in his bid for yet more success in this race and we feel this is his stables first string. Chief Justice meets a rival he did well to fend off previously at Fairyhouse and we feel he can confirm his superiority to the other market principle here again, being 4lb better off. Leading claims. Our final NAP from each meeting comes from Limerick's last race of their Boxing Day meeting - which is a Class 1 Hurdle contest of 2m. We fancy Larquebuse, a Cheverley Park Stud runner, who made the perfect start to his racing career in March when bolting up and deserves as much respect as any runner in the field. We feel he looks highly likely to go close again here with the ground in favour and he should be all the wiser for the that initial experience. Should take all the beating.